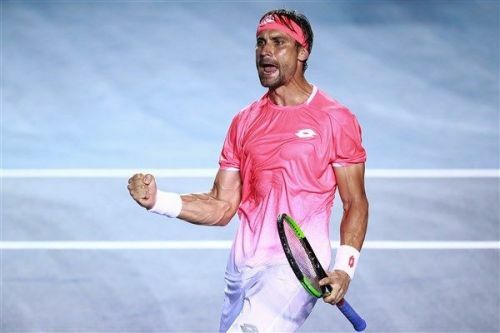 In what is set to be his last year as a professional tour player, David Ferrer started his Miami Open campaign with a dominating victory over the American player Sam Querrey. Ferrer won 6-3, 6-2 to advance to the second round. Right from the start, it was Ferrer who was dictating terms as he broke Querry in the initial stages of the first set to take a quick 3-0 lead. There was no retaliation from Querrey as Ferrer was timing his ground strokes perfectly for winners. The same dominance continued in the second set as Querrey seemed to have lost his touch, especially on his big forehand. Ferrer capitalized on his opponent's lack of rhythm to get a double break and wrap up the match. The Spaniard will now face Alexander Zverev in the second round. Bernard Tomic, who was supposed to face Tomas Berdych in the first round, defeated Brazil's Thiago Monteiro 6-4, 6-1 after Berdych was forced to withdraw from the match due to a back injury. Tomic will now face World No. 1 Novak Djokovic in the second round. In other matches, the young Canadian Felix Auger-Aliassime defeated Casper Ruud after rallying from a set down. He will now face Marton Fuscovics in the second round. Janko Tipsarevic, after getting his first victory in over a year yesterday, will face Roberto Bautista Agut in the second round today. It will be one of the big upsets of the tournament if Tipsarevic manages to beat Bautista Agut. Roger Federer will start his bid for the title with a second round match against the Moldovan player Radu Albot. Albot faced the Australian Matthew Ebden in the first round, and was up by a set and a break before Ebden retired with injury. Denis Shapovalov, who has been easing his through the initial rounds of tournaments but failing to make it big when it matters most, will face the British resurgent player Dan Evans in the second round. It will be a spectacular contest of sweeping one-handed backhands; the fact that both the players are aggressive in their approach towards the game could also add some intrigue to the proceedings. David Ferrer- The unsung hero of Tennis!